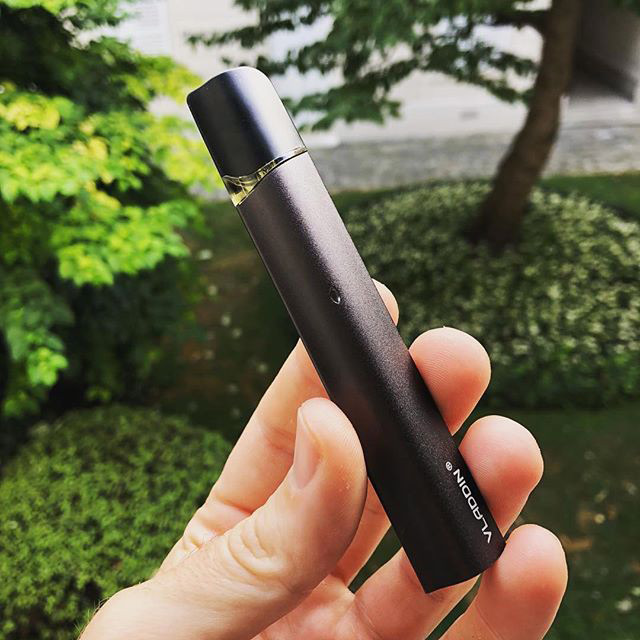 The Vladdin RE pod system’s unique curved metal body along with it’s nozzle and comfortable feel is undoubtedly one of the main advantages of the device. There is a small viewing window on the pod which will allow you to know how much e-juice is left. The small window is just right and integrates perfectly with the battery. In fact, I think if I had to use a word to describe Vladdin, the word would be “elegant”. This elegance shows that the company must have spent a lot of time and energy on the design of the device. 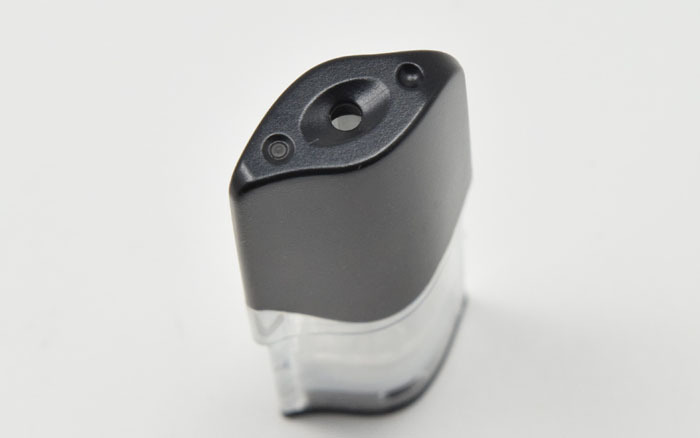 To use the Vladdin RE, just remove the magnetic pod from the top of the battery housing, remove the black rubber stopper, fill with e-juice and then close it back up and insert the pod into the sleeve. The pod and battery share distinct curves which creates one way for the pod to be correctly inserted. When inserted correctly you will feel the magnets that connect the pod and battery. If inserted incorrectly, it is very easy to tell and easy to fix, just flip the pod over and insert. It is very easy to install. When the pod is filled and the battery is charged, you can start vaping. Vladdin RE does not have a push button, therefore the device is automatically suction activated. 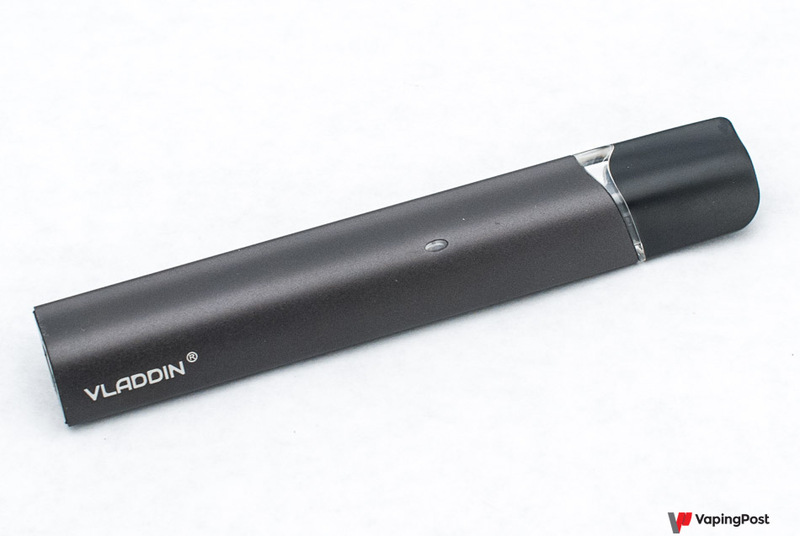 Once you start vaping Vladdin, you will notice the LED on the outside of the battery light up white and you will hear the internal ceramic coils start to work. Personally, I am not vaping Vladdin all day because I prefer a dual battery box mod, so I can’t judge whether the battery is good or bad. 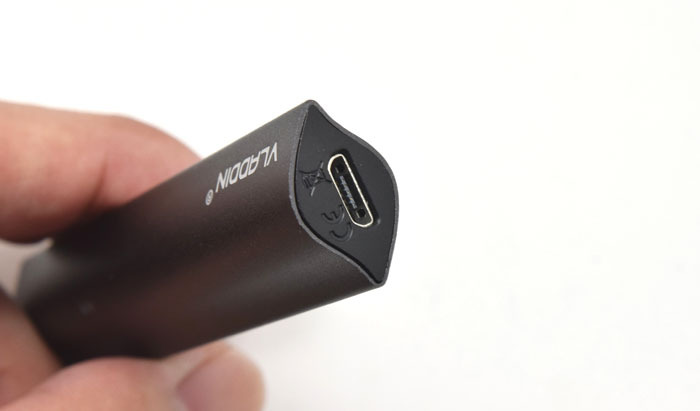 The amount of battery depends directly on how often you vape the device, but I personally think that 7 to 8 hours of battery life is quite reasonable for beginners or the occasional vaper. All in all, I have been using Vladdin for 8 days. To be honest, I am not a big fan of Mouth to Lung, but Vladdin is much better than I expected. In the past week, I have used it mainly when I was driving and working, which is quite satisfying. For everyday use it’s really convenient, and it also produces a very satisfying throat hit. This really surprised me because I didn’t expect such a small device to delivery so nicely. I especially didn’t foresee the performance of the device.